In the wake of China’s 18th National Congress of the Communist Party, held in November 2012, the Party has renewed its dedication to asserting its ideology. Beijing has redrawn the line between the Church in China and Vatican authority, recently revising its regulations for how China’s Catholic bishops are selected and ordained. 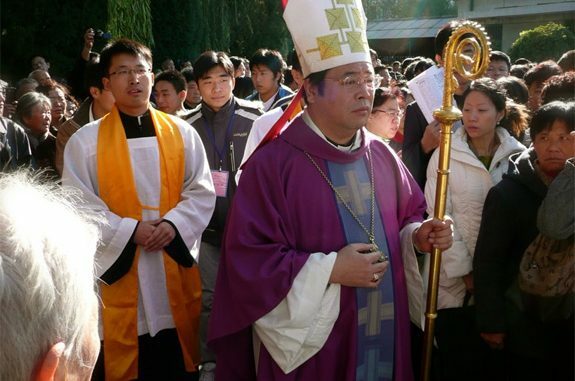 The state-controlled Bishops Conference of the Catholic Church in China (BCCCC), which is not recognized by the Holy See, has been assigned even more authority over the election and consecration of Catholic bishops in China. Previously, the Vatican has gained a significant voice in the approval of China’s bishops, but as of April each diocese must first seek the approval of the BCCCC and the Bureau for Religious Affairs before ordaining a new bishop, and the new prelate must now render public support for the Chinese Communist Party. Until now no Chinese bishop has been required to express such an explicit support for the Communist Party, which they know places them in conflict with the teachings of the Church. In Pius XII’s famous encyclical against Communism in 1937, the Pope declared Communism “the most persistent enemy of the Church,” and among the concerns of Catholics in the pew in China is that the government’s new hard-line will result in a return to “underground” ordinations and worship. Should We Bring Back Young Marriage?